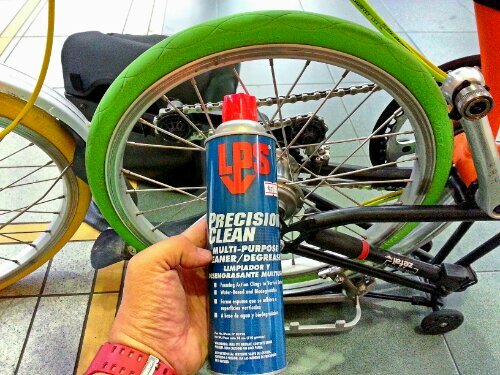 Attended our very first Brompton Technical Workshop conducted by the official local distributor of Brompton. A workshop where simple maintenance such as the cleaning of bike chain, chainset and the changing of tyres were taught and shared to the participants. A group of friendly and helpful B owners were also present to lend a helping hand to us newbies in this area. As I was busy dismantling the various parts to be cleaned, I did not take many images. Missus’ input during the workshop, cleaning the Tannus tyres to remove the black marks. And she found just the cleaning agent to do so. This was what she used to clean the Tannus tyres. Noticed how much cleaner the Tannus is in the background. Her B is next, for me to take apart and maintain. That is if I remember the steps.